The top application or applications are expected to become the centerpiece of the NEA’s effort to communicate about the Survey of Public Participation in the Arts (SPPA) and a major vehicle for communicating about arts participation more generally. 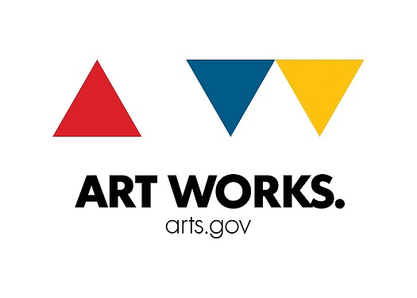 We expect the top submissions to be made permanently available on the NEA website, to be promoted widely in the arts community, and to be an important resource for arts organizations around the country. The National Endowment for the Arts (NEA) supports artistic talent and creativity in the United States and provides Americans with rich and diverse opportunities to experience art. Like every other organization, business, or government agency, we rely on data to tell us how to serve our mission more effectively. The Survey of Public Participation in the Arts (SPPA) is the NEA's flagship dataset and includes a host of demographic, geographic, and behavioral variables about U.S. adults (ages 18 and over) and how they participate in arts activities. Last fielded in 2012, the nationally representative survey has occurred six times since 1982. Now that the 2012 SPPA data have become available through the U.S. Census Bureau, we want innovative thinkers, data crunchers, and graphic artists to paint pictures that can reveal hidden or unexpected value from the raw numbers. How can information about the arts events that people experience yearly--and the types of art they otherwise consume or create--be used to tell people who they are as Americans and how they relate to one another? How can the information be linked to other datasets to profile behavior patterns within a geographic area, and how can arts and cultural managers use such data to improve their services and outreach capabilities? By issuing this challenge, the NEA seeks the design and development of one or more interactive data visualization applications to showcase the SPPA data in exciting and previously unimagined ways. We want arts organizations, arts patrons, and the general public to engage with these data in ways they never have before and to use the data to better understand their audiences and communities. Beyond this, we want visualization applications that are works of art in their own right; works of art that can become the centerpiece of the NEA’s presentation to the public of this valuable data resource. The SPPA is the nation’s most authoritative source of information about the ways in which Americans from all walks of life participate in the arts and how this participation has changed over the years. Its statistical rigor, national coverage, and the depth of detailed information about the American people make the SPPA an unparalleled resource for understanding and exploring the value and impact of the arts in society. We want to make the rich content of the 2012 SPPA more accessible to the public through a series of interactive, visually appealing, and easy-to-use data visualization tools. By creating these apps, you will help all Americans, including lawmakers, educators, journalists, and arts and cultural managers, learn about and communicate the arts' role and importance in everyday life. What role do the arts play in communities across the country? How has arts participation changed over time? What are some of the possible explanations for shifts in participation patterns? Your work can help to answer these kinds of questions and, in the process, help the arts to connect with other people's lives. Further, by making these data interactive and accessible, you too will be creating a work of art: one the NEA can use to serve its mission effectively. We encourage creativity in combining and using data variables, exploring relationships between datasets, and making those innovations accessible to the public. Three potential “use cases” exemplify the kinds of apps we would like to see explored. They are only examples, however, and should not be viewed as prescriptive. For the general public, including people or organizations outside the arts/cultural sector: Explore correlations between arts participation rates and other variables from the U.S. Current Population Survey (of which the SPPA is a supplement), including measures of demographic and labor market characteristics as well as civic engagement and participation in other types of activities. For arts/cultural funders and policy-makers: Illumine disparities in various types of arts participation, both by geographic area and by socioeconomic characteristics or other demographic traits. For arts/cultural managers: Draw connections between arts participation and the presence of arts/cultural infrastructure (whether formal or informal) in different regions, states and major metro areas. To be eligible to win a prize under this competition, you: a) must be a citizen or permanent resident of the United States and 18 years of age or older before the submission period ends; b) may not be a Federal employee acting within the scope of your employment; c) may be a private entity, such as a corporation or other organization, that is incorporated in and maintains a primary place of business in the United States. Individuals submitting on behalf of corporations, nonprofits, or groups of individuals (such as an academic class or other team) must meet the eligibility requirements for individual contestants. An individual may join more than one team, corporation, or nonprofit organization; and d) may not be an employee of NEA or an immediate family member (spouse, parents or step-parents, siblings and step-siblings, children and step-children, and household members). If you are a Federal grantee, you may not use Federal funds to develop applications for this competition unless such use is consistent with the purpose of your grant award. If you are a Federal contractor, you may not use Federal funds from a contract to develop or fund efforts in support applications for this competition. You may use Federal facilities or consult with Federal employees during the competition if the facilities and employees are made available to all contestants participating in the competition on an equitable basis. Contestants must register for the contest on this website by creating an account by Feb. 2, 2014. Registrants will receive an email to verify their account and may then enter their submissions via the "Post a Submission" tab. Submissions may be any kind of interactive data visualization application, including a stand-alone app, but must be accessible through all internet devices, including personal computers, tablets, and mobile devices. If the software tool is not accessible to or by the Administrator and Judges for review purposes (via the web with a URL or mobile app store), a link to a video of the working tool may be submitted. In such case, the Administrator has the right to request access to the Submission in person or via any reasonable manner to verify any of the software tool’s criteria. A Submission may be disqualified if it does not function as expressed in the description or does not properly implement statistical procedures. All Submissions must be available for evaluation by February 3, 2014, in order to be considered for judging purposes. Once a Submission is made, the Contestant cannot make any changes or alterations to the Submission until the judging is complete. The approximate date by which the judging will be complete is Feb. 24, 2014. For all Submissions, the Contestant agrees that the NEA will have the ability to release the code as open source at its discretion (see Rules for more details). The application must not use the NEA logo or official seal in the Submission, and must not claim endorsement. Security – Submissions must be free of malware. Contestant agrees that the NEA may conduct testing to determine whether malware or other security threats may be present. The NEA may disqualify the entry if, in the NEA’s judgment, the app may damage government or others’ equipment or operating environment. Is the application creative, interesting, and easy to use? Is the application functional, artfully designed, and visually appealing? Does the application properly account for definitions of variables, statistical sampling procedures and weights, differences across time, data sources, and data collection procedures? Does the application use the required 2012 SPPA? Is the application accessible on any internet accessible platform? Does the application require purchase or downloading of a tool to use it? Is the application compatible with the NEA website, which utilizes a Drupal 7 content management system?